HTC ONE S is definitely a winner. By the way, I'm not working at Sony or HTC or Samsung. I just want to share my opinion. Troll on Xperia 's opinions . Both phones are equally good . Xperia L Launched in May 2013 , Optimus L9 Launched in Nov 2012 . Ofcourse its going to have a better chipset . Xperia L is a bit overpriced , Nokia is offering same chipset in Lumia 520 , Lumia 620 for less price and that too with an OS which demands a licensing fee unlike the open source Android . I think Xperia L is a winner here. Andrei, 17 Jun 2013only from the specs u can tell that its a far better phone but its with 50% more expensive OK. With the same price tag, Sony Xperia L is better than L9. Mordock, 17 Jun 2013-LG UI is much better then Xperia or Touchwiz UI . GSMArena have mentioned this explicitly ... more-LG UI is boring and ugly. It is far behind UI of Samsung and Sony. I've used them all lol. -battery is non-replaceable but it is large and good quality. What's the advantage of spare battery if the original battery can last 2 full days without charging? 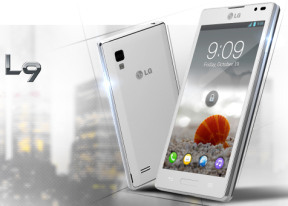 -Rom 2.9GB, internal storage 5.37GB and memory card slot up to 32GB is more than enough for most people. L9 has only 3 GB internal storage. -You can't say true multitasking if your ph hangs with 3 simultaneous tasks lol. -one more thing, L9 has bad build quality and cheap looking. It will surely crack if you drop it from 3ft height. NXT, 16 Jun 2013Xperia SP is far better than these two phones(L9 and grand). Go and check it's review. Main A... more-LG UI is much better then Xperia or Touchwiz UI . GSMArena have mentioned this explicitly in their L9 review .Personally I have used all and its better then all . -Battery is non - user replaceable in SP . -Storage is 5.33 GB in SP without the option to Move App To SD . -Price Difference Rs 16,500 (L9) vs Rs 23000 (SP). -Quick slide for videos , internet etc. This is true Multitasking ! Do not be too biased when comparing . Just because you own a SP , it does not mean that it does not have any shortcomings . aarya, 13 Jun 2013shud i go for it ? Plz tell me fast who has it.Don't go for L9. It is an outdated ph. Go for Sony Xperia SP which is the best midrange ph in the market. Go for it and you'll never regret. this is my first android phone. processing everything butter smooth. this is ics but get up like jellybean. msg writing is qwerty, voice talking and handwriting recognition. Xperia SP is far better than these two phones(L9 and grand). Go and check it's review. -Pinpoint Sharp display having 720*1280 pixels while L9 has 540*960 and grand has 480*800. Very noticeable difference. Some people are saying L9 has sharp display because they've never seen a HD display in thier lives or LG company has paid them to say so. SP also has BE2 which can make colors and contrast very good. -very good build quality-with strong aluminium frame that can handle accidental drops while L9 and grand are all plastic phs. -characteristic charming light strip that has many cool functions. It also pop up to the beat of your music. Buy this ph and you'll never regret about it. aarya, 13 Jun 2013shud i go for it ? Plz tell me fast who has it.The phone is ok , but wifi is not working with JB 4.1.2 and the battery OMG :(( u need to upgrade to a bigger battery. My phone is warming. Does yours? 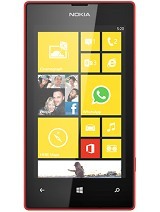 thejaswi, 13 Jun 2013Hi, I am from Bangalore and planning to buy this phone. Can any one tell me about the battery ... moreI have the p768 variant with jellybean and battery quite horrible. Lasts around 2 hours of nonstop gaming. Though you can replace the battery. Can last a whole day with light gaming, around two hours of music and two hours of video playback, I think?